This is a tentative schedule subject to change based on school needs. Vision- The grades screened annually for vision are Kinder, 1st, 2nd, 5th, and 8th. The screening is conducted by the school nurse. VISION CRITERIA: California Education Code 49452 and the California Department of Education, A Guide for Vision Testing in California Public Schools. Hearing- The grades screened annually for hearing are Kinder, 1st, 2nd, 5th, 8th, and 10th. The screening is conducted in partnership with the Merced County Office of Education (SCOE) Hearing Program and the school nurse. HEARING CRITERIA: California Education Code 49452 and the state of California Health Services Children’s Medical Services Branch Hearing Conservation Program. Scoliosis- The grades screened annually for scoliosis are 7th-grade girls and 8th-grade boys. The screening is conducted by the credentialed school nurses during physical education classes and is a visual inspection only. On the day of the screening, the students are provided education on scoliosis and the procedures for the screening. Parents and students may opt out of the screening by providing a written statement from the parent or a physician’s summary which shows the screening has already been performed. If your child is diagnosed with a communicable disease, please provide written documentation from a medical doctor (MD), nurse practitioner (NP), physician’s assistant (PA), or other medical provider authorized to diagnosis communicable diseases to the School Nurse immediately. Conjunctivitis (pink eye) is an inflammation of the lining of the eyelids and white part of the eye. The eyes may be bloodshot and red in appearance and the eyelids swollen. Your child may complain of burning, itching, sensitivity to light or a feeling of roughness under the eyelids. You will see thick, yellow drainage from the eyes and the eyelids may be stuck together in the morning. Conjunctivitis is easily spread. Rubbing of the eyes can cause spreading to the other eye. 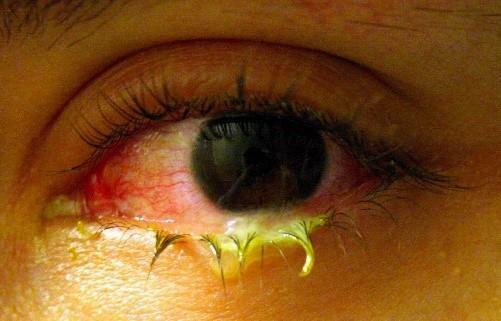 To avoid this, wipe the infected eye gently from the inner corner to outside edge. To reduce the spread to others, keep his or her face cloth and towels separate, use careful hand washing techniques and keep them out of school until the redness and drainage disappears, or they are cleared by a health care professional, such as a medical doctor (MD), nurse practitioner (NP), physician’s assistant (PA), or other authorized health care provider. Conjunctivitis may be caused by a virus, bacteria, or allergy. It is important that your child be evaluated by a doctor for diagnosis and proper treatment if needed. The student may return to school if the symptoms disappear or if the doctor writes a note stating that the child is not contagious.